You're probably wondering what these 3 have in common. Nothing really, but it's been a while since our last update and I wanted to bring you up to speed about a few new developments. In our earlier post about costs we introduced the possibility to enter costs and do budget reporting. However some clients indicated they don't necessarily want to set budgets but are interested in the costs and profits nevertheless. 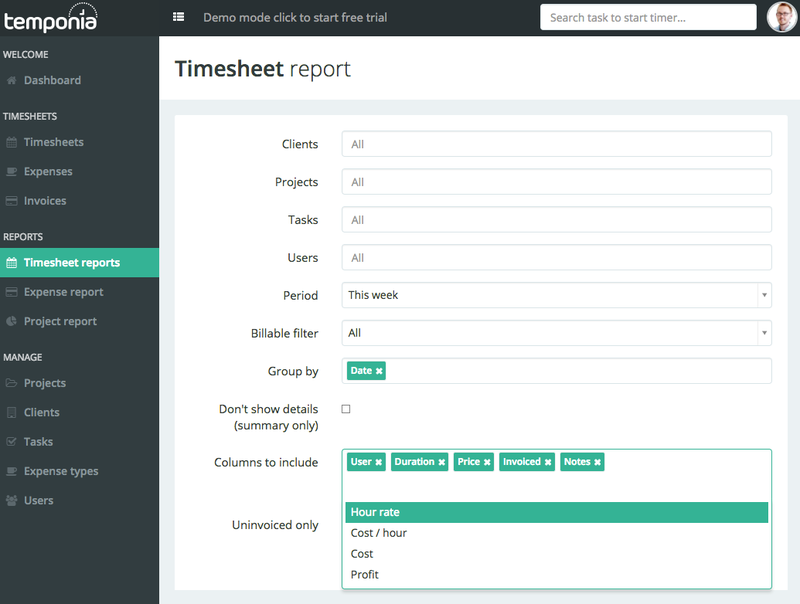 Therefor In the reports page it's now possible to add additional columns: hour rate, cost per hour, total cost and profit. After that you'll see the additional columns are visible in the report. 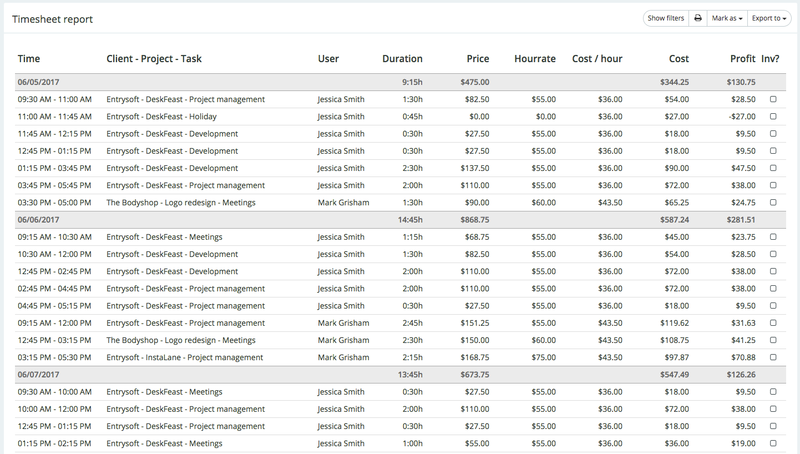 Important to note however: all cost related columns are only visible for administrators! Our second update is about Office 365. We already had an integration with Office 365 which allows users to easily convert Outlook events into billable timesheet events. 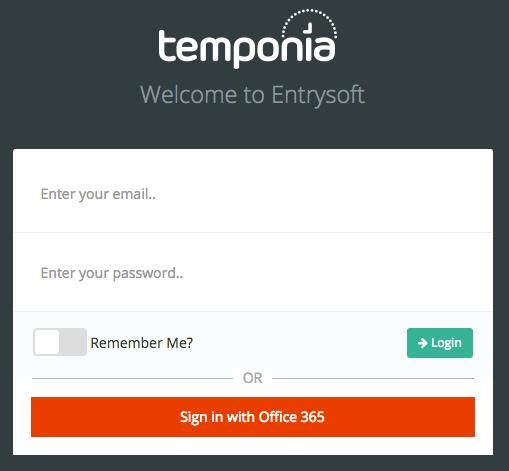 For those users we made logging into Temponia a bit easier with the help of single-sign-on. Users who have setup the Office 365 integration can just click the red button and enter without having to remember any credentials. 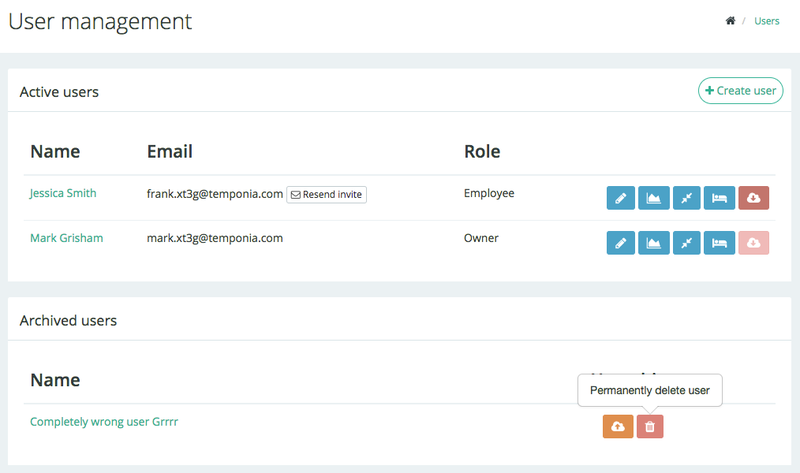 Finally: say goodbye to errors: sometimes you make a mistake, and in the past it wasn't possible to delete faulty records such as expense types, projects, clients and users. It was possible to archive them, but they stayed in the system. Now it's possible to delete these errors forever. When you now archive these items, you'll see there will appear a small trash can. Clicking this will permanently delete them. Important however: a permanent delete is meant for items that are wrong. You must keep in mind that doing this for items that have already been used, will delete all related items as well. For example deleting a project will also delete all the time and expenses logged to this project. We hope you like these new features and would love to hear back from you!